You head out to Snowpack Park to spend time with the penguins, but a storm has scattered them across the nearby islands. It's up to you to travel to each island, befriend the penguins and bring them back home. 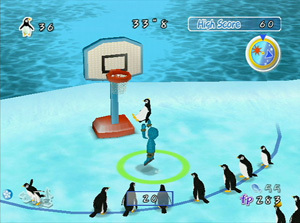 Care for the penguins by feeding them, petting them and playing minigames. This earns Friend Points which can be used to buy balloons, opening up access to other islands. As well as gathering more penguins, you have to care for the penguins you have already brought back to the park, or they will leave.